This is a big ask and a plea to MG421982 or anyone that could make a cockpit for this car even a realistic racing one will be ok. I keep looking at this car and desperately want to drive it but without a cockpit it has no soul and is uninspiring and sadly I wont drive it. With a cockpit I could make it a really great racecar. I like you do not have the skills either, maybe someone one day with the skills will have a go at it thanks for the response. 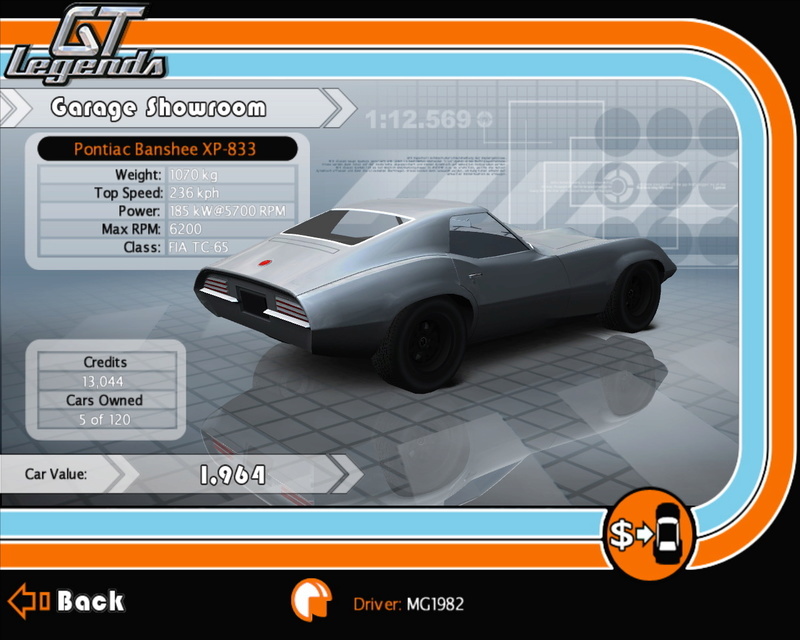 BTW, I'm very curious about this Pontiac Banshee model !!! 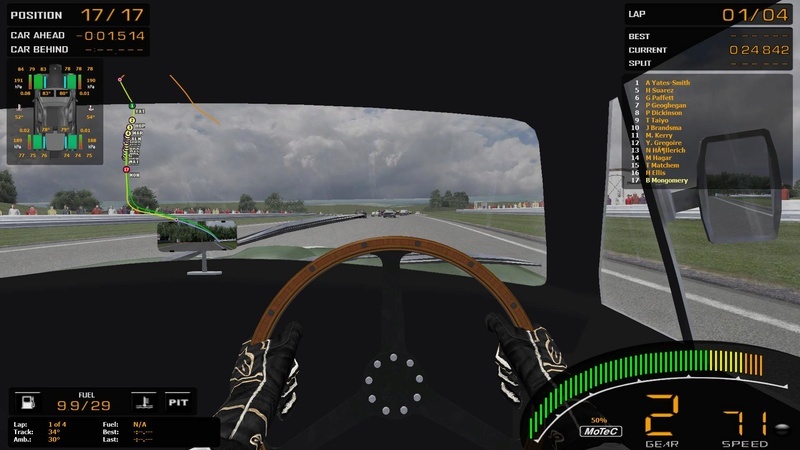 Obviously having a decent cockpit is important, but if it's not possible yet then having the car is still important too. Of course, my dear Gee. MG’s cars are always amazing and delightful to drive and have them in my garage, even without a decent cockpit. Cheers MG, and keep you nice work going on. Cheers! I'm almost free from my self-imposed exile, once I come back operational tomorrow evening, stuff* will start rolling in. I had plans to finish that DB2 myself a while back, I have some ideas on how to make a proper dashboard. It won't be as luxurious as the real DB2 (this version was a DB2/4 racecar afterall), but something along these lines is possible. *Strap yourself to your seats, some never-before-seen models will appear somewhere on this board in the next few weeks. The Banshee looks like a combination of Corvette and /Camaro/Firebird. Another one I never heard about before. Looking good. Keep up your excellent work! Yeah, only that this is before - 1964. Concept tho. It was supposed to be a Corvette and Mustang rival, but GM decided to ditch it because they were afraid it might "kill" the Corvette sales. If you pay attention, the 3rd generation Corvette, launched in 1968, has certain cues that remind of this Pontiac concept. Dear Marian, some months ago you were working in an excellent version of the Ferrari 250 GT LM Berlinetta SWB, far better than Butch's version available to GTL. Did you quit this work? Don't you intend to work on it to release? It's a real pitty, because it seemed very, very nice. My fingers are crossed hoping you may do this car for us. Cheers, and have a nice sunday. Here now in Rio, is 16:00 PM. Strap yourself to your seats, some never-before-seen models will appear somewhere on this board in the next few weeks. Interesting! Any chance something of it would fit the 1967 WSC season? 1967 is pretty much complete other than single liveries that need to be painted for already available models (E-Types, TR4s, etc). After seeing what looked like an improved Ferrari Dino 206 S in one of your screenshots, I had some hopes it would be among the new stuff. After that I stopped working on the already available one which really needed some improvements. Biggest issue with that model is the way to big tail lights which I've modified to a more correct size and placement. I've also worked a bit on the cockpit interior, including the dashboard and filling holes under the windscreen. Also spent a lot of time on physics and performance. Another very important 1967 WSC car is the Porsche 910 where the currently available model leaves a lot to wish for. If you want to send me your updates, I can add them to mine as I haven't worked on those areas. Especially physics, wouldn't hurt. About the 910, I sort of agree. I had plans to switch cockpits on all Porsches with the ones from the AC versions they made for some dlc, but still haven't gotten around to do that. It's technically an updated version of the GPL model, but who knows what went wrong there. The exterior is mostly fine, just the cockpit that isn't up to standards. 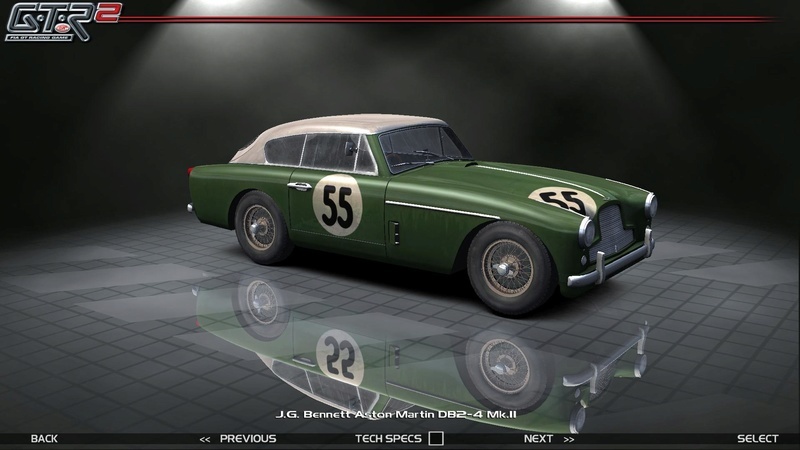 Other than cars that are not available such as the White Elephant for 1966 (and 365 P2 in general) and other things such as CDs, Panhards and the semi-obscure backmarkers, there isn't much I haven't got already as most grids for all races are complete. Perhaps just the Mugello GP and Enna rounds are missing as it was a WSC round in 1966 and 1967, but I'm slowly painting those. 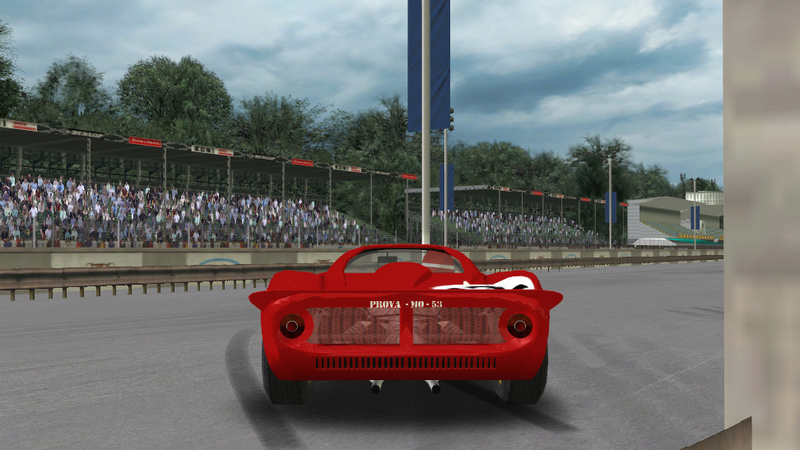 Want to convert the Ronde Cenevole track to rF1 and use it as a placeholder for Mugello '66 and '67 as it was a road race like Targa Florio and Mille Miglia, but I'm missing those two files to begin the conversion. Nice cars! The Abarth 1300 OT would be especially welcome for my 1967 season. And here's what the modified tail-lights on the Dino looks like. I've also managed to widen the rear grille to correspond with the new lights. And funny that you mention Ronde Cévenole as a placeholder for the Mugello Stradale race as I've been working for the last few days on setting up the former as a replacement as well! I'll send you the generic track files you're missing together with the Dino but first need to wrap some things up with the car. And you don't actually want the skies_south.gtl-file as these are for the Southern hemisphere... It's a common error among track makers as they seem to think that it's related to where in the country a track is located. I'll include the skies_central.gtl instead and you can then just change the text references in the trk- and gdb-files. Great pics - is the Simca CG based on the existing mod by speedster1963 ? Yes, Simca used the Abarth base to build their cars. Hi Zexer FreeRacers having a good go at the Aston dashboard and is making progress. 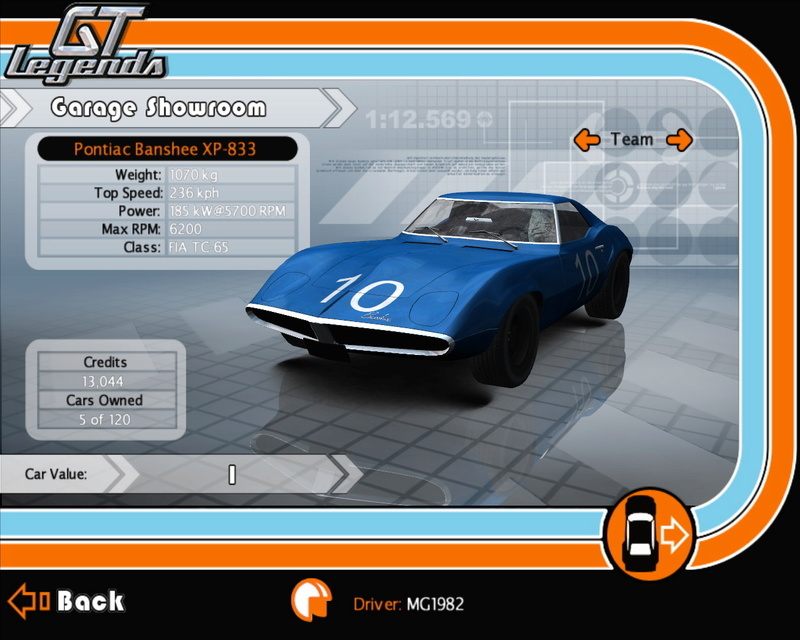 added to speedster1963's mod but would be nice to have it in game. I thought this was an Aston Martin thread you have all trampled on it ?